Ok, Ok. Maybe we Izzies ARE making a habit of this. . .
Once again Deedy (that's Dorothea Jensen to you) has asked us to post something she wrote for Her Other Blog about her Other Writing, and we caved. 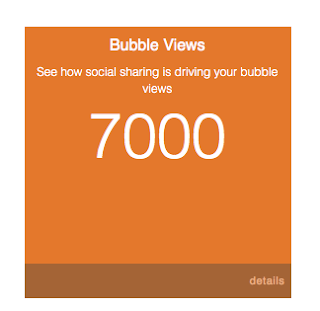 Take a gander at this lovely number! That's the number of times people have read one of my "author insights" (called "bubbles") since I started writing them on my Bublish.com author page in late July. I've been having great fun re-visiting books I've written, both recent and not-so-recent, and reminiscing about how I came up with ideas for these stories. 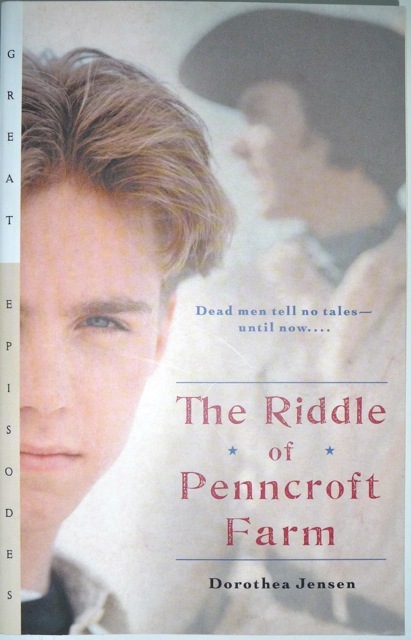 In the case of The Riddle of Penncroft Farm, this means remembering bits from many years ago, as I started writing that story in the early 80s! I am amazed to find that when I read it now, I still recall why I put certain things into Riddle, and where many of my ideas originated. Sometimes, I make a Bubble that simply directs readers to other sites to see pictures of objects mentioned in the story (stake-and-rider fences, pudding caps, riddles, etc. ), to watch a book trailer, or video blog, or to hear a song that is sung by a character in the book. 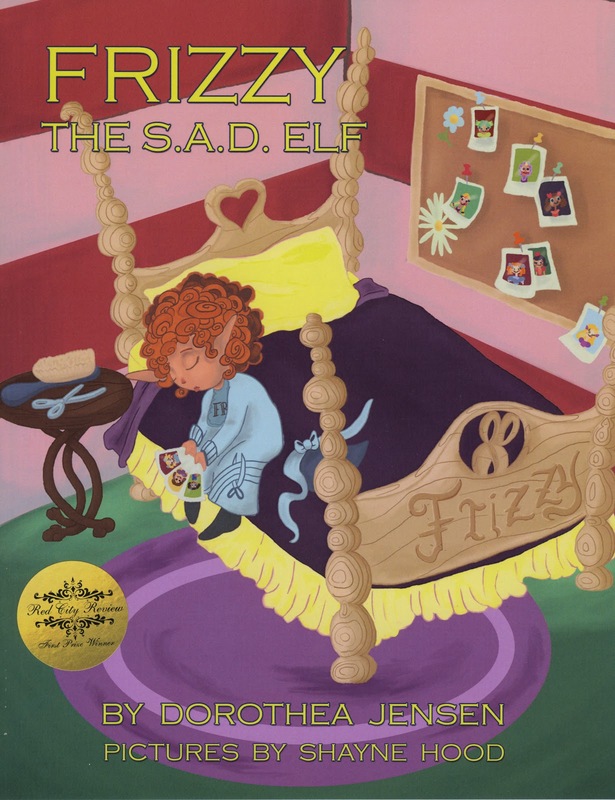 I have also been writing bits about two of my four Izzy Elf books, Dizzy, the Stowaway Elf, and Frizzy, the S.A.D. Elf. 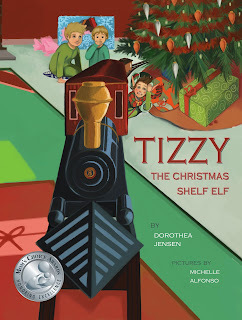 (FYI: a fifth is in the works, Bizzy, the Know-It-All Elf.) Of course, these are fantasy story poems, so it's harder to refer readers to places where they can see the imagined items mentioned in these stories, such as Virtual Reins, Elfascopes etc. However, I do direct readers to sites where they can watch book trailers, video blogs etc. As you might suspect from the devices cited above, the Izzy Elves (and Santa himself) are quite 21st century in the way they approach their age old tasks. P.S. I can hardly wait to start writing "insights" about my new historical novel for young readers, A Buss From Lafayette. I've got a manuscript all marked up ready to go, but I can't post anything until the book is 100% finalized. With any luck, that will happen in about a month. Stay tuned! Deedy (that's Dorothea Jensen to you) has asked us to post something from her Other Blog that pertains to her Other Kind of Writing. We took a vote and decided to allow this. We're hoping that if we do her this favor, she'll start paying us more attention. After all, Bizzy, Quizzy, Fizzy, and Whizzy still need to have their stories told! Big News! A BUSS FROM LAFAYETTE is available for pre-order! 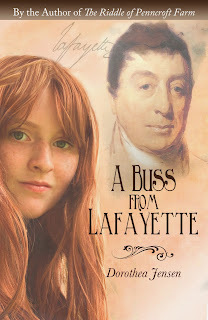 My new historical novel for young readers, A Buss from Lafayette, can now be pre-ordered. It will be released on April 22, 2016. Here's the link from the publisher, BQB, where it can be purchased at a discount at this time. Eventually there will also be pre-order/order links on Amazon, Barnes and Noble, Google Books, iBooks, and Kobo. Buss will also be available from Ingram and Baker & Taylor. 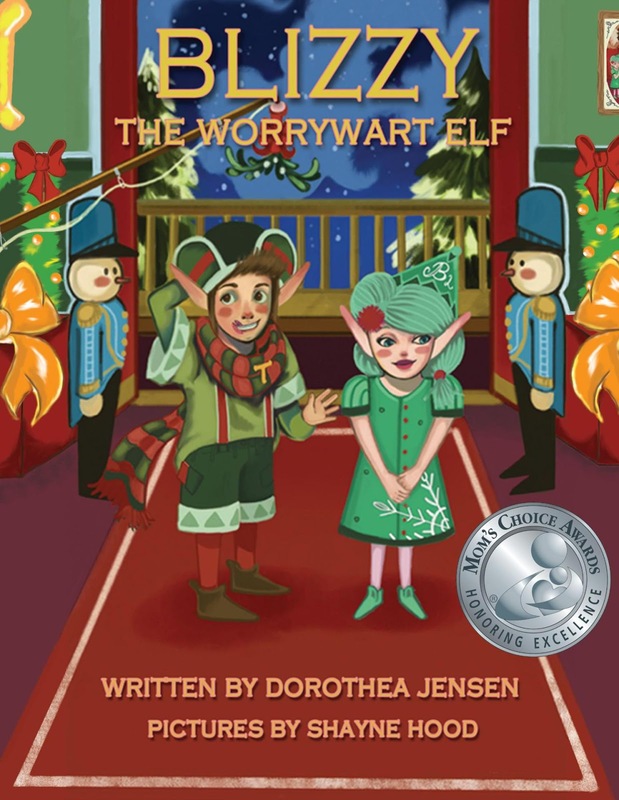 Santa’s Izzy Elves and plans to write four more. Watch for Bizzy, the Know-It-All Elf, coming in 2016! Deedy (that's Dorothea Jensen to you) says she has been Fixing Up our stories recently. We tried to pin her down as to what EXACTLY she is doing, but she wouldn't tell us much. Tizzy did peek at his story online, and thinks that there might be a few lines missing. Blizzy says there is a small hole in hers, too. They asked Deedy about this, and she said not to worry because she has just made Tizzy, the Christmas Shelf Elf and Blizzy, the Worrywart Elf BETTER. Hmmm. We are reserving judgement. 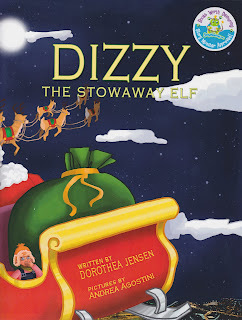 We Izzy Elves are very proud of these stories and really hope Deedy hasn't messed them up. Unfortunately, there is not much we can do about this situation. Except maybe whine a little. Love from the Izzy Elves.